The results published by the World Bank-backed study comparing economies in 2011 showed few surprises. 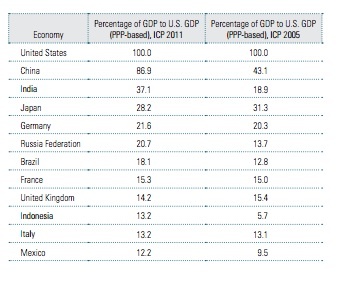 A handful of “economies have the greatest shares” of wealth or world’s GDP (see second graphic below). 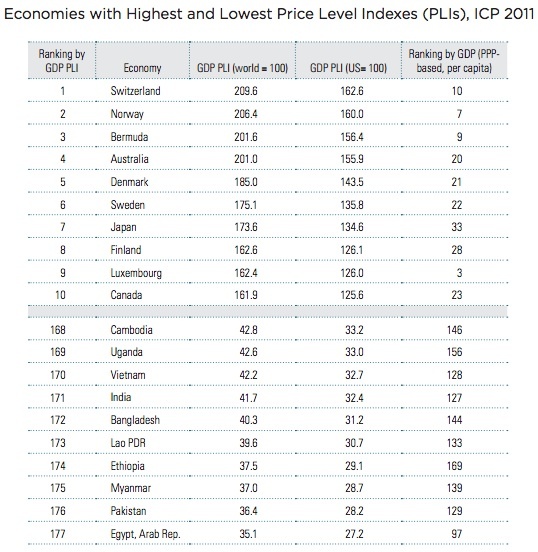 199 economies were ranked on the basis of how far your money goes on a range of comparable goods and services; Switzerland is at the top of the list followed closely by Norway. The United States is – it seems – a comfortably cheap place to live. High income economies, says the report, account for 50% of the world’s GDP but are home to only about 17% of the world’s population. Six of the world’s 12 largest economies, China, India, the Russian Federation, Brazil, Indonesia, Mexico are middle-income countries and most, with Brazil as the exception, saw their shares increase. The United States of America continues to have the largest economy, closely followed by China. 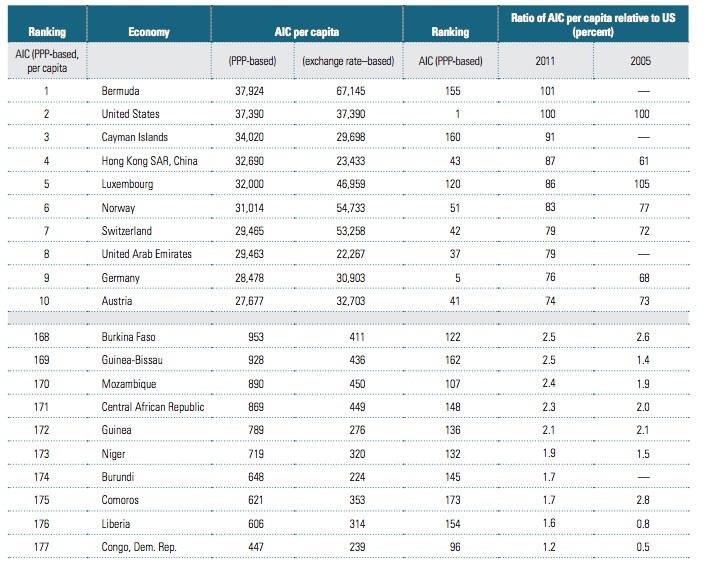 The list of the 12 largest economies includes in ranking order, the US, Japan, Germany, France, the United Kingdom and Italy. Except for the United States and Germany, the countries with large per capita values are small, think Switzerland, Bermuda, the Cayman Islands, Hong Kong and Luxembourg, all well-known tax havens.